iPhone 5 came with a big change - Apple folks changed the size of the "Subscriber Identity Module" that can be used with the phone. Confused? 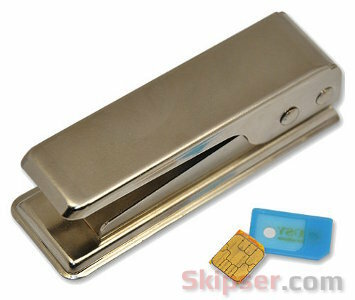 Just kidding, its what the "SIM" of your phone's "SIM card" stands for. You can only use a nano SIM card in the new iPhone 5. Lets first see what a SIM card is. It is basically an electronic chip packed in a plastic card with connection points to the phone which you see in gold color on the card. The size and position of these connection points is standard and always remain the same. What ever you see outside this is just plastic. So the first question that pops up in is - why a SIM card had almost double the size that is actually needed? The only reason is that the older phones had fewer components inside them and hence had lots of space. So the SIM card was made bigger so that handling it is easier. 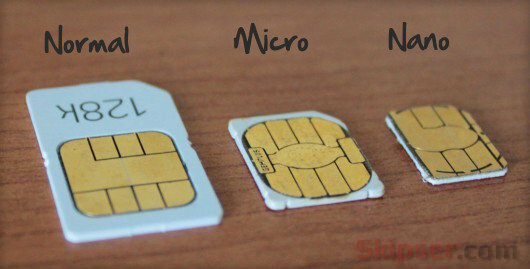 There are three standard sizes that SIM cards come in - normal mirco and nano. A normal SIM card into a micro or nano card. A micro SIM card into a nano card. 1. By cutting a SIM card yourself using a template. You can easily cut out a smaller sized SIM card yourself from a bigger one. Just make sure to cut the dimensions properly and use a sharp and robust scissors. If the scissors is not sharp, you might end up cutting blunt edges or damaging the SIM card. To make it easier, here's a template having the exact cutting dimensions you can download. Just make sure you print it with 100% resolution - no less, no more. Here's a video demonstrating how you can cut your SIM with this template. 2. Use a cutter tool. Cutter tools are available in the market which makes this task very easy. You can buy one online from Amazon like this one or just visit your local store. It works like a hole punch. Simply place your SIM card in the tray and punch out a smaller size. Once you make a smaller sized SIM out of a bigger one, it is also possible to convert back. That's right, there are adapters available in the market which enables the smaller SIM card to be used in phones which demand a bigger one. Now 99% you would never have to do this, so you need not hesitate to cut your SIM. How to Block Calls From Any Person or Number in Android. The cost of being batman. Write Gmail Email In Other Non-English Language. How to Assign Shortcut Key For Any Extension in Chrome. Social Media Guidelines For All.